The Republic: Religion rules, recipes for today's kitchens, and ¿Qué? The Allegory of the Cave, Book VII. By Corpalma, 2011 [CC BY-SA 3.0] via Wikimedia. Three things struck me about The Republic. The first is the incorporation of theology into philosophy. For all the goings on about religion in recent times and the apparent "victory" of science, Plato's philosophy begins and ends with Heraclitus' God. Almost none of the philosophy makes sense without the soul or a higher purpose for humans, and an intelligent deity that has ordered it all to be so. Second, The Republic is a handbook for politics. Hardly an idea has escaped tyrants or politicians. Parts of the work are basically a program for political action. Of course, the examples provided from ancient times are not necessarily the equivalent of the polis today, but there is certainly an element of prediction that cannot be ignored. And third, the art of translation has a significant influence on the readability of classic texts, and this translation by Desmond Lee is fascinating. Lee includes extensive notes throughout the text. Many of the notes relate to the various translations by others, and Lee often admits when he is not sure of his translation. After reading Benjamin Jowett's translation of Meno, I was disappointed with how annoying Socrates appeared in the dialogue. Nonetheless, the dialogue in The Republic is so contrived as to make me wonder why bother having the interjections from the audience (who always agree with Socrates even when the logic is obscure?). Of course, dialogue is a literary and political device, but the differences between the various translations are significant, as they are with Homer's epic poetry. My marginalia is too extensive to write up in this space, but I have kept notes on pedagogy, the reliance on God to make sense of the philosophy, numerous other readings to complete, and Plato's various ideas that make this work timeless. The teacher fears and panders to his pupils, who in turn despise their teachers and attendants. As did the many references to democracy leading to tyranny brought about by a popular champion. Once again, I find that a complete reading reveals so much of my education that did not make a direct link to the original source. 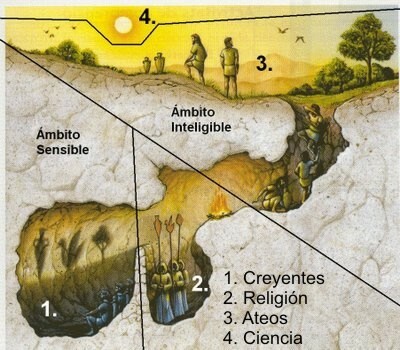 The allegory of the cave appears in almost any undergraduate degree in politics, but in such a cut-down version as to make the entire idea in relation to the allegory of the Sun and the Line and the division of knowledge into its levels of "truth" disappear. It makes we wonder how much has been lost by perpetually drawing on secondary sources in education. Again, translation fascinates me and I regret not having learnt more than one language when I was young, so I can only trust that Lee's translation does the original work justice (no pun intended). If I had known the impact a complete reading of this work would have on me, I would have attempted it much earlier. Having said that, without having read Homer, Hesiod, Heraclitus, and the Stoics, I think much of The Republic would have gone straight over my head. I have since commenced reading The Laws while I am in sync with Platos' dialectical dramatisation.